He finally popped the question! Some of us have donned the bridesmaid’s gown for a tad too many. And now it’s your time to do your wedding planning. Now that you are engaged, what’s next? Set the Date is the #1 thing on the list. I would say, 9-12 months to plan a wedding is comfortable and you might enjoy it. 6-9 months might be rushed but manageable. 3-6 months, you really need professional help! Let our expertise at Rosette Designs & Co help you. 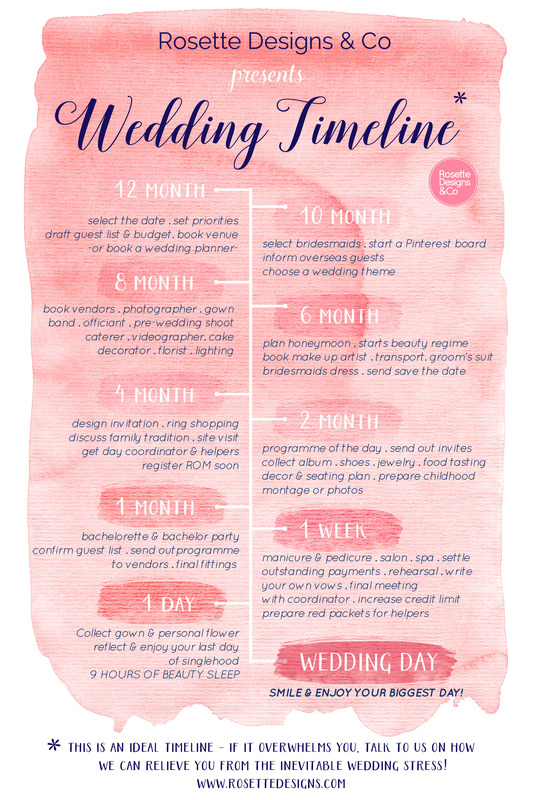 Just a note, if you happened to discover a double strip earlier than you have planned, please get a professional wedding planner (talk to us soon! 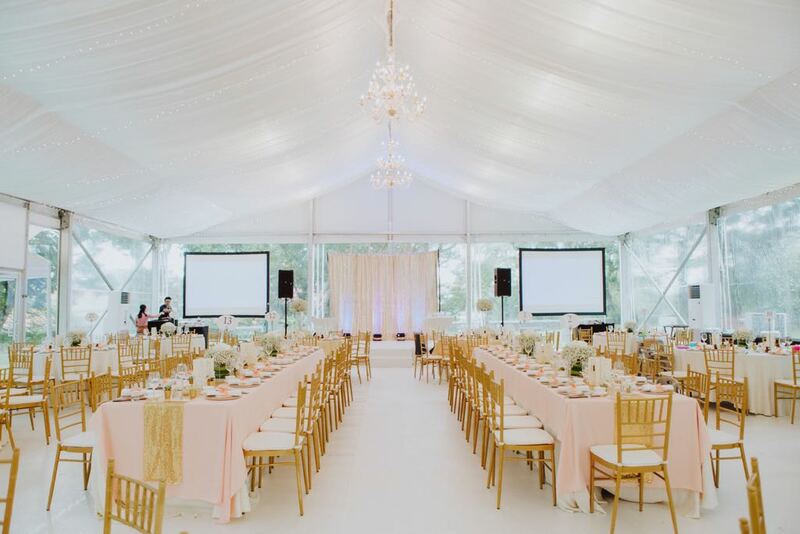 ), Even if we are not available, we can recommend our wedding planner friends in the industry who will help you get married at ease. Once we were engaged as wedding planner 2 weeks before the wedding, as the bride is 4 months pregnant. You might want to engage the wedding planner earlier. 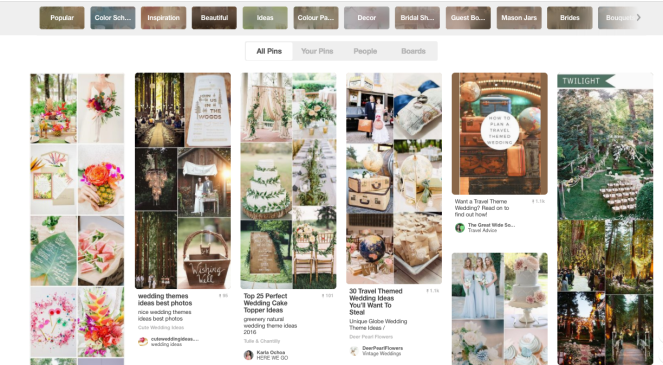 Just a note, if you happened to discover a double strip earlier than you have planned, please get a professional wedding planner (talk to us soon! ), Even if we are not available, we can recommend our friends in the industry who will help you get married at ease. Once we were engaged as wedding planner 2 weeks before the wedding, as the bride is 4 months pregnant. You might want to engage the planner earlier. 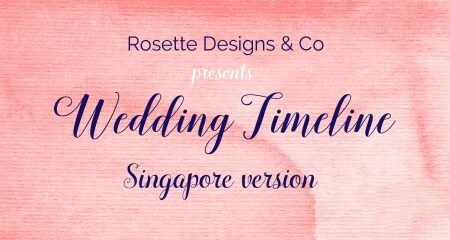 If you decided to plan your own wedding, we have prepared a guideline for wedding timeline, a Singapore version. While this guideline is useful to plan your whole journey, you are free to tailor according to your needs and priority. If you already know what vendors to get or if you already follow certain popular photographer or makeup artist, just get them as soon as you can. The good vendors are usually booked much earlier. Take extra notice if your wedding date is an auspicious date. Better to be early than late and nothing irks me more than to miss on my favourite vendor because I was comparing and looking around when actually I have made up my mind on my selection. truly enjoyed surfing around your weblog posts. After all I’ll be subscribing in your rss feed and I’m hoping you write again very soon!